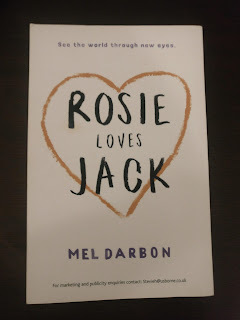 Blurb Description: Rosie loves Jack. Jack loves Rosie. So when they're split up, Rosie will do anything to find the boy who makes the sun shine in her head. Even run away from home. Even cross London and travel to Brighton alone, though the trains are cancelled and the snow is falling. Even though any girl might find that hard, let alone a girl with Down's syndrome. See the world through new eyes in this one-in-a-million story about fighting for the freedoms that we often take for granted: independence, tolerance and love. 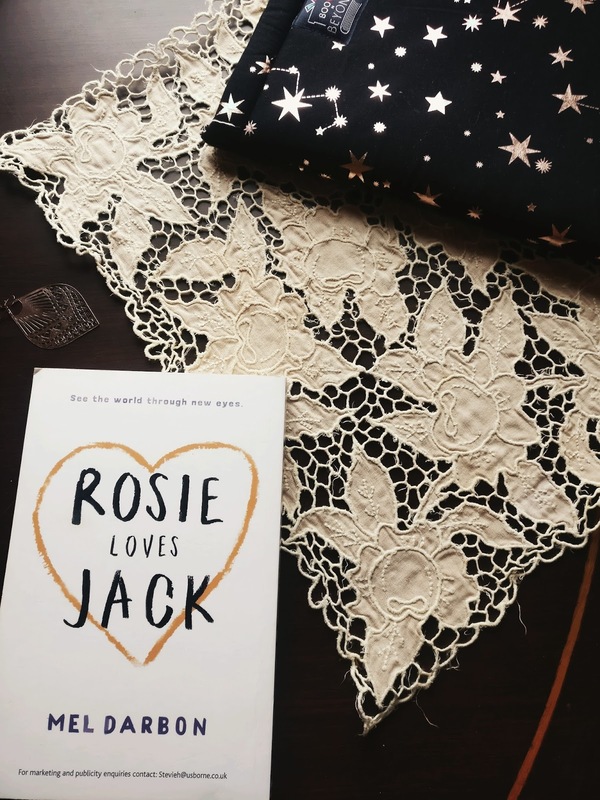 Rosie Loves Jack is a WONDROUS debut novel, told from the point of view of a girl who has Down’s syndrome as she navigates the world by herself for the first time. I have nothing bad to say about this book, so please be aware that this review consists entirely of me gushing about the perfection that is Rosie Loves Jack. This book, you guys. THIS BOOK. It felt like such a privilege to read it early because it was SO BEAUTIFULLY WRITTEN and it made me laugh and happy cry and ugly cry because it was poignant and real and delivered the author’s message with such stunning clarity – that whether someone who has Downs' or any other illnesses, at the end of the day, we’re all the same; human with feelings and love and needs and I LOVED IT SO MUCH. Rosie, our narrator, was courageous, independent and managed to capture my whole heart in just a few pages. She was smart, steadfast in what she wanted and looking at the world through her eyes was a beautiful, altering experience. 2. The kindness of random strangers everywhere. This was such an important element of the book to me because while it showed that there are some truly scary people out there, even someone you’ve never met before can be the kindest. Rosie’s story was filled with these souls and it really filled by heart to see them in this story. 3. The WONDERFUL representation: I hope this goes without staying, but Mel Darbon’s portrayal of a girl with Down’s felt stunningly real and a privilege to read and it honestly helped open my eyes to a little bit of what someone who has Downs' is going through. 4. 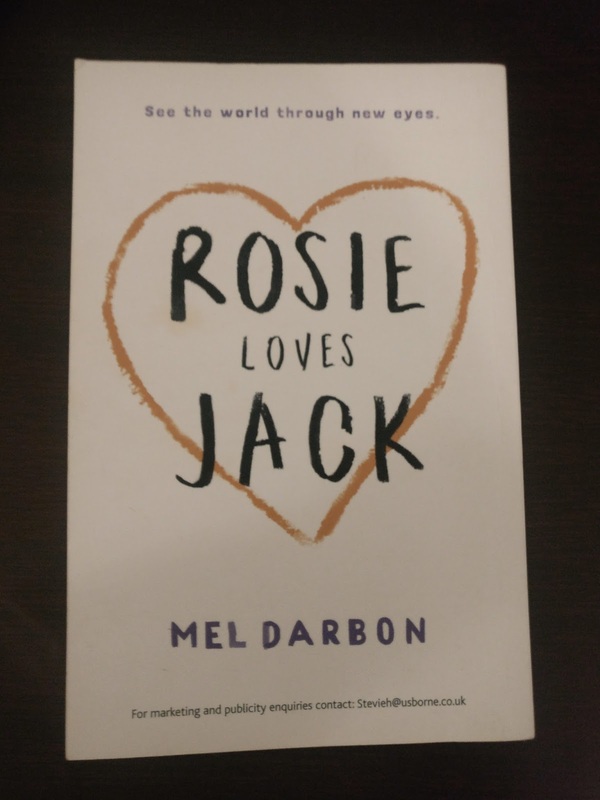 I do wish we saw more of Jack and Rosie together in this book in real time, not in Rosie’s memories or through the letters Jack wrote. It would have helped me root for their relationship more whereas I was just rooting for Rosie’s happiness and didn’t really know Jack enough to care as deeply for him. Like I promised, this review contains only me gushing about this book. b) That kindness and empathy are SO IMPORTANT. Go pre-order this book. IT’S NOT ONE YOU SHOULD MISS. 5 Stars. Mel Darbon spent a large part of her childhood inventing stories to keep her autistic brother happy on car journeys. She won’t mention the time spent with him standing by level crossings waiting for the InterCity 125 to go past as she wouldn’t want to be labelled a train spotter. Life took her in many different directions working as a theatre designer, a freelance artist, teaching young adults with learning disabilities and running creative workshops for teenage mums, young offenders and toddlers (though not all together). 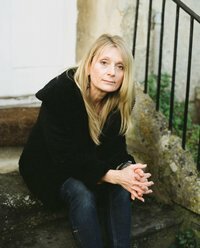 Mel now writes young adult novels and is a recent graduate of Bath Spa’s MA in Writing For Young People, where she found a channel to give voice to young people who otherwise might not be heard. Have you had the chance to read this book? What did you think?